I loved everything! What happens when the earth slows down? Julia learns to live in this new and dystopian world where nothing is the same — will there be a future for her to plan for? You won’t be able to put it down! 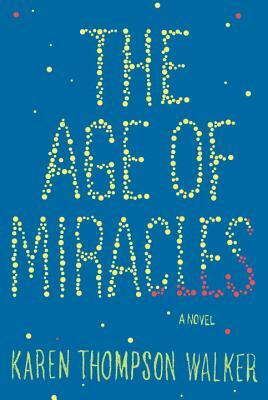 Karen Thompson Walker is the author of" The Age of Miracles," which was a "New York Times" bestseller. She was born and raised in San Diego and is a graduate of UCLA and the Columbia MFA program. A former editor at Simon & Schuster, she wrote "The Age of Miracles" in the mornings before work--sometimes while riding the subway. She currently lives in Iowa with her husband.